Burnsville High School athletic director Guillaume Paek. 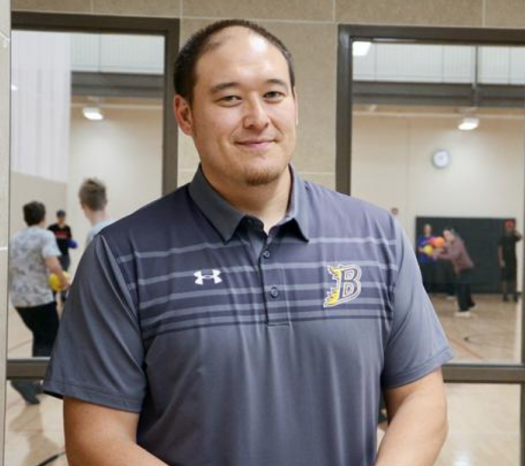 Burnsville High School has named Guillaume Paek as it’s new interim athletics director. He comes to Burnsville from Patrick Henry High School in Minneapolis, where he was the athletic director there since 2011. This news comes after former Burnsville athletics director Jeff Marshall announced his resignation on Twitter to take a job as dean of students at Edina High School. With mixed emotions, I will be leaving BHS Activities to become the new Dean of Students at Edina High School. “I am excited for the opportunity to grow professionally and positively impact students, families and programs here at BHS,” Paek said. Paek noted that he oversaw athletics at his former school, Patrick Henry High School, but not activities. “Going through the interview process, I was blown away by amazing programs that BHS offers students to be college and career ready,” he said. Paek hopes to expand beyond the interim status and continue to serve the Burnsville community for years to come. The athletic director is responsible for the more than 66 activities and athletic programs available at the three middle schools in the district and at Burnsville High School.